Glacier National Park has been on my bucket list for a long time, and the place in Glacier that I was looking forward to visiting the most was Hidden Lake. Hidden Lake, located at the top of Logan Pass, is a gorgeous lake surrounded by amazing glacial topography. On our last night in Glacier, we decided to visit this lake. During the hike up the pass, I was getting nervous as we were hearing lots of thunder off in the distance. After a couple small bursts of rainfall, the sky cleared up and the light started looking promising. I headed along the trail looking for a good composition of the lake, and stopped at a beautiful field of yellow wildflowers along the trail that caught my eye Sitting there watching the light turn epic as the sun set on our last day in Glacier was an unforgettable memory. The photo that came of this experience turned fantastic, and I’m thrilledwith the results. Visiting Moraine Lake was on the top of my list for our trip to the Canadian Rockies. Everyone has seen pictures of this perfect mountain lake, and I was excited to capture an image for myself. Throughout the whole trip, the conditions in Banff had been very hazy. We put off shooting this iconic lake until the very last night of our trip, waiting for a clearer day with our fingers crossed. On the last night of the trip, we managed to get lucky and the sky was a little less hazy. The sunset didn’t turn out great due to the haze, but it was clearing as it got later. We waited for all the tourists to leave and for the sun and the moon to go down. Once that happened, Katie and I had the entire lake to ourselves. After waiting for a while in the cold summer night, the stars and the Milky Way galactic core finally showed up in the night sky. I was so happy to see that the haze cleared up just enough for us to see the Milky Way. I wasn’t very hopeful for our attempt at astrophotography, but I was delighted to see that the sky was clear enough to create a nice image. 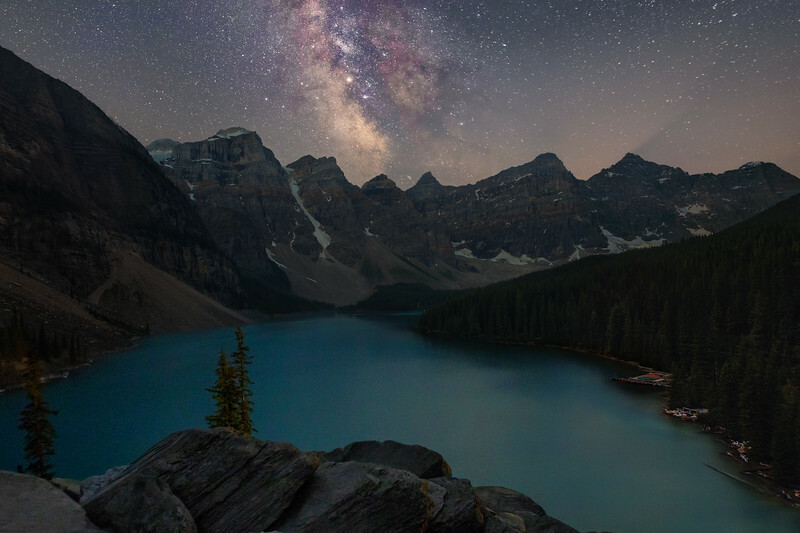 I was so excited to photograph Moraine Lake, and I was happy to get a more unique photograph that I’m very proud of. 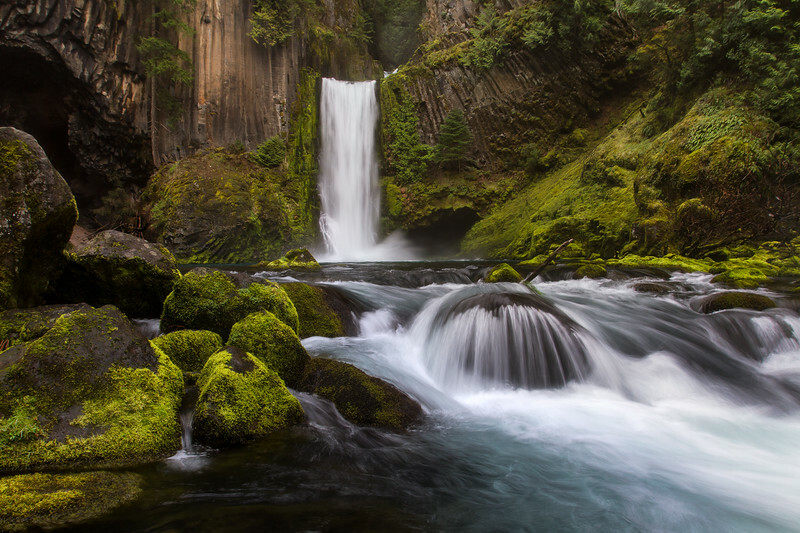 Being a landscape photographer means constantly chasing good light. 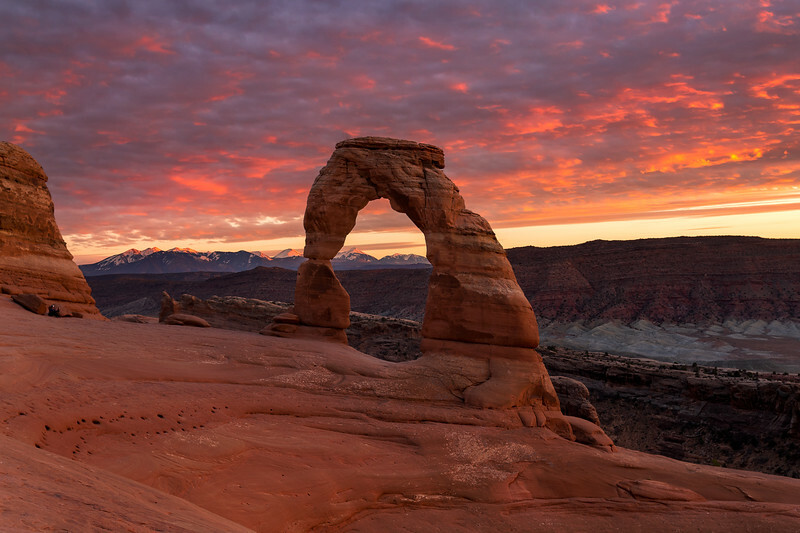 On our visit to Delicate Arch in Arches National Park, we got possibly the best light all year. We had planned on shooting astrophotography at the arch, but a bunch of clouds rolled in, ruining that plan. When we arrived to the trailhead, the sky was filling with clouds and I wasn’t very hopeful that we would get any desirable light. But fortunately for us, as we hiked, the sky began to clear a little bit and the sun poked through a hole in the clouds. Once we arrived at the arch, the light hitting the arch was beautiful. There was an intense warm light hitting the arch with amazing dark blue clouds overhead. As the sunset continued and the sun dipped below the horizon, the clouds above the arch lit up with intense color. It was one of the most beautiful sunsets I’ve seen, and seeing it in one of the most iconic places in the world and being able to photograph it was so rewarding. While almost every landscape photographer probably has an image of Delicate Arch, I’m incredibly pleased with the way my photo turned out. My absolute favorite image that I took this past year was taken early in 2018. During our road trip through the Pacific Northwest, Katie and I knew we had to stop at one of the most impressive beaches in Olympic National Park. Ruby Beach is an amazing spot for landscape photographers. 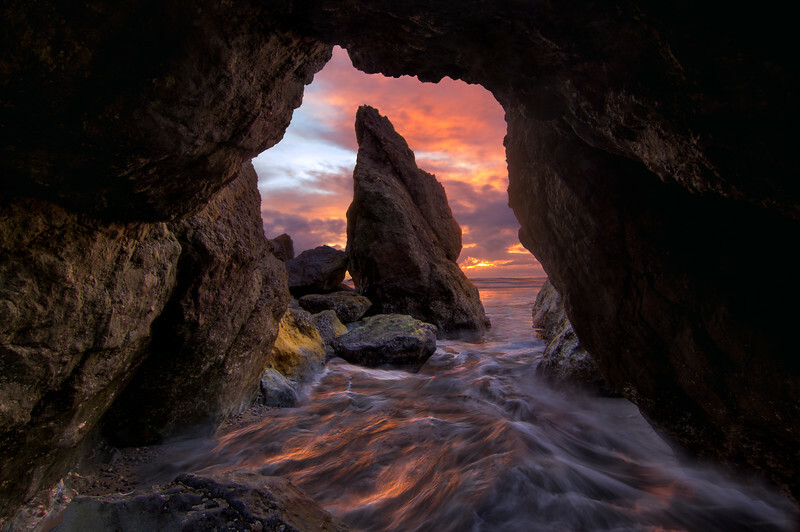 This stunning beach is filled with beautiful tide pools, driftwood, and sea stacks that create truly dynamic photos. We arrived to Olympic National Park later that we would have liked, so I didn’t think we were going to make it to Ruby Beach in time for sunset. We debated skipping the sunset shoot all together, but decided on trying to make it to the beach instead. I’m very grateful for that decision. We made it to the beach and the sky was beginning to show signs of lighting up. I rushed down the trail and over a bunch of driftwood toward the beach, thinking I had to hurry to capture the good light. But over the next 30 minutes, the light just kept getting better and better. . I hopped from composition to composition creating a variety of images. The one I like best was at a group of rocks that framed an impressive sea stack. The picture looked like I was inside a cave with water rushing inside. I loved the way the sky lit up with jaw-dropping color, combined with that color reflecting off the incoming waves. It was a challenging photo to shoot and edit, but in the end it turned out better than I could have hoped for, and this is now one of my favorite images.